A few years ago my favorite natural foods chef told me she would not put anything on her body that she would not put in her mouth. At first I thought that sounded like a lofty goal, but the more I thought about it, the more sense it made. After all, since your skin breathes in everything, putting skin cream in your mouth — or on your body — is really the same thing! But how could I give up some of my beloved, chemical-laden care products? Would I have to compromise the quality I expect from my favorite products? Would I spend hours researching byzantine ingredients attempting to determine if they are bad or good for my skin? Lucy herself is both radiant and genuine, which you can feel from the moment you meet her. 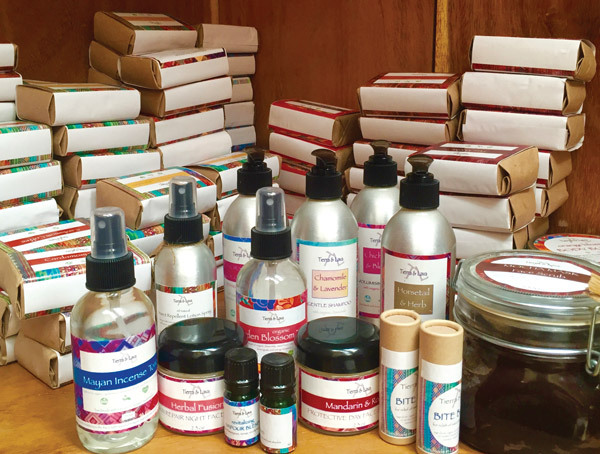 She began her business 10 years ago staring with soaps and has expanded to over 50 skin- and hair-care products with constant experiments for new items. Her inspiration comes from nature, with your wellbeing and pleasure in mind. Watching Lucy in her laboratory, I could feel her enthusiasm for blending new and ancient natural ingredients, Mayan rituals and alternative health care. How does she do it? Many of Lucy’s quality ingredients come from the herbs and flowers of her organic, non-GMO home garden in San Cristóbal el Alto. She uses ingredients as close to whole as she can find. She believes implicitly that high-quality ingredients are key to high-quality products. I was astounded by the personal stories she told me about where and how each ingredient is sourced. Lucy is dedicated to the local suppliers in her community, including beekeepers such as Don Eduardo Xicay López and Don Rafael López Mendez for their raw, sustainably produced honey and beeswax. Her local cooperative (senderosdelaltoantigua.com) produces the organic coffee she uses as well as the sewing of her tipico organic cotton toiletry bags. The interior fabric for the bags is made by women’s cooperatives in San Juan La Laguna. 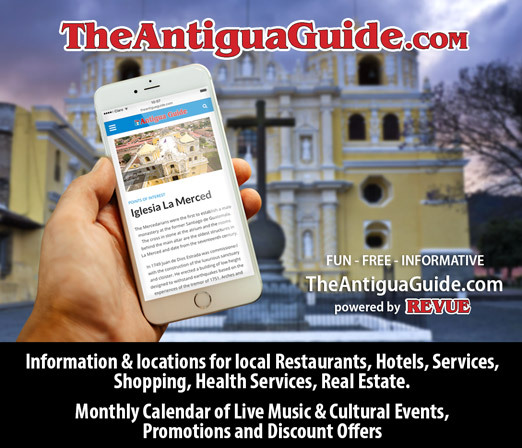 She has curated a vast network of specialty natural suppliers such as Don Gregorio Maximiliano Lopez, whose family has produced the lost art of mining rare black salt for generations. Black salt was prized for its use in sacred Mayan rituals, is mineral rich, intensely therapeutic and believed to cure almost anything. 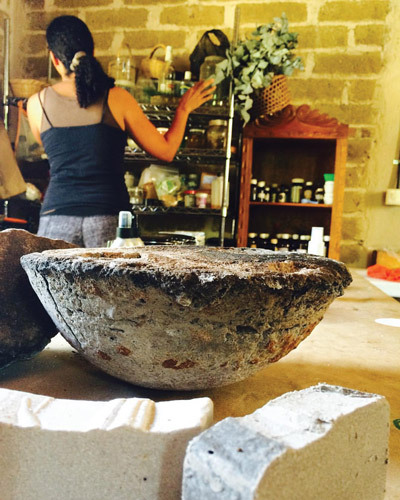 She continuously investigates traditional Mayan materials (such as copal, achiote and myrrh) for their medicinal and cosmetic properties. Tierra & Lava products have no animal testing (except on friends and family! ), parabens, petroleum-based ingredients, artificial colorants or fragrances, GMOs, sulfates, detergents, phthalates or synthetic ingredients. So this all sounds crazy amazing, but do the products actually work? I told Lucy I was looking for a body scrub that would do a serious job. After trying her Coffee Cacao Spice body scrub I fully understand why she chose the word “luxury” to describe her products. I had no idea my skin could be so soft. I also fell in love with the Mandarin and Rose Protective Day Face Soufflé, which I had my doubts about as sunscreen, but it worked perfectly on my nose, which usually burns in 10 minutes. But the real test would be my partner, an outdoor guy whose only skin-care product is deodorant. He surprised me by converting easily to Tierra & Lava’s Pit Potions deodorant creams. If getting a quality, whole-ingredient product is not enough, Tierra & Lava’s vision as a company is to leave little to no carbon footprint. The packaging is glass, aluminum, cardboard and handmade recycled paper, avoiding plastic. If you are stumped on what to buy for Valentine’s Day gifts this year, Tierra & Lava’s unique products could be the perfect fit. Better yet, treat yourself to these luxurious products. If you love supporting local, quality-ingredient businesses, you will be thrilled. Tierra & Lava products can be found at the Good Hotel Antigua (a new social business hotel that dedicating 100 percent of its profits to the NGO Niños de Guatemala). The hotel currently has a limited selection of soaps, shampoo, body souffle, lip balm, deodorant and sunscreen. Good Hotel Antigua is located at Callejón del Hermano Pedro 12, La Antigua. Black salt is not that rare. Apart from being sold in the Inca salt pans at Maras, Peru, (white and pink salt also on sale), I can buy it in Lidl too. Lidl is a cut price German supermarket chain proliferating in Europe. And Myrrh was one of the Three Wise Men, or Three Kings’ gifts to baby Jesus. Hardly an original Guatemalan product. I wish you (editorial team) wouldn’t do this. Guatemala is a wonderful and beautiful country. Distortions of the truth are not helpful. I appreciate your comments and skepticism but would like to address the concerns you raised as they raise questions about my sources and integrity. The black salt in Guatemala is quite rare. The salt I get from Sacapulas is extracted and processed by one person. There used to be many more families working the salt there, but due to floods, storms and generally easier ways to make money, it is not an especially desirable profession. But the salt is amazing and we choose to try and give Don Maximiliano more exposure to give him credit. There is also black salt (or a different type) in San Mateo, but it is even harder to get. I am sure you are also able to get black salt where you are but I don’t know the source of yours. 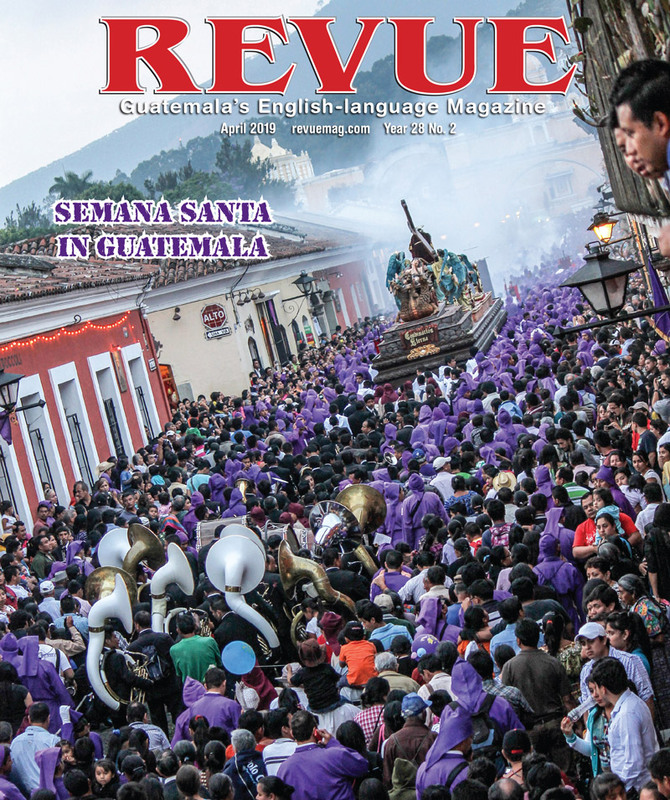 With regards to the Myrrh, it is not being touted as an original Guatemalan product. However, what inspired me to use it in my products is fact that while on the one hand it is used extensively in sacred Mayan rituals here, it is also an amazing skincare ingredient and has been used as such throughout history. If you have any questions about anything else mentioned, feel free to contact me directly.